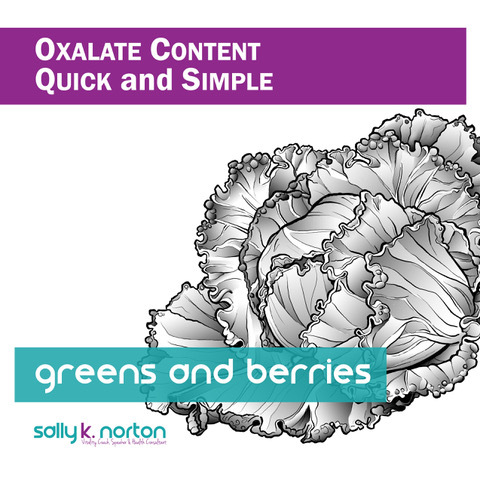 Great confusion reigns regarding the oxalate content of Greens and Berries. Despite what your doctor may tell you, you certainly don’t need to give up all leafy greens and berries to succeed with a low-oxalate diet! Use this reference guide to confidently select appropriate serving sizes of greens and berries to reach your low-oxalate target. 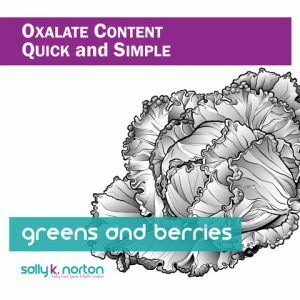 The document also explains what it means for foods to be “low-oxalate”, and discusses the reasons why there is confusion regarding food oxalate content.